When I was in high school I was very active with sports and this where I first started to gain an interest in geography. My interest in geography grew by learning and understanding certain things about a town or place, for example, knowing that a town was famous for industrial activity. This made me spatially aware of my surroundings. As I graduated high school and went to university (SMU), I was unsure what I wanted to do as a profession so I tested the waters with multiple avenues. Geography and Geology were two subjects that seem to be parallel with my interests and I pursued these subjects as a Major and Minor. After COGS, I received a job with Dawson Geophysical Company as a Hazard Mapper (Assistant to Head Mapper). This job required me to use a GPS unit to find all features on any given property. This would include: structures, fencing, gates, utilities, phone and any other features that would be considered hazardous for our large equipment. This data was then put on a map for the surveys collect GPS points for seismic purposes. The position was located in Midland, Texas gaining international work experience. As I moved on from that position I currently work for the Nova Scotia Department of Transportation and Infrastructure Renewal (TIR) as a GIS Officer. This job is in an office setting where I am a part of planning and decision making within a specific area. 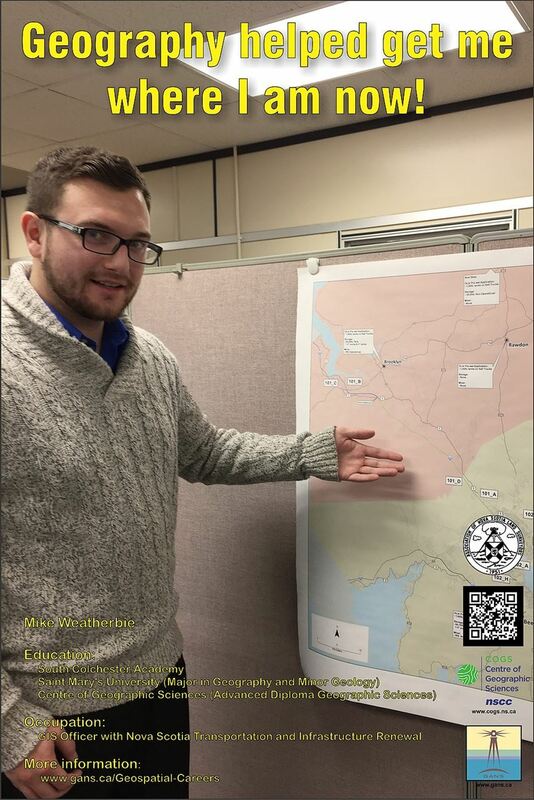 My responsibilities include using GIS to help plan winter plow routes and road construction to effectively make smart decisions, as well as using statistics to be informative throughout other divisions of the entire department.